Fort Lauderdale, FL – T-H Marine Supplies, Inc., of Huntsville, Alabama, announces it has partnered with The Billfish Foundation, of Fort Lauderdale, Florida, as a program sponsor. Sponsorship will focus on The Billfish Foundation’s Tag and Release Program, where T-H Marine will provide both financial and product contributions. Widely recognized for its success, The Billfish Foundation’s Tag and Release Program is a worldwide competition for billfish anglers who want to ensure the future of the sport. Anglers tag billfish as they catch them and gather data about the fish. This tag and release data provides valuable information that lays the groundwork for conservation-minded policy, scientific advancement, and gives insight into the demographics and socio-economic benefits generated from billfishing. Since 1990, TBF has received more than 220,000 billfish tag and release records from anglers and captains around the world. Records are entered into TBF’s Tag & Release Online Database, which has gained in popularity with boat crews and anglers since its introduction in 2014. The records collected via the database will better help marine researchers gain insight into migratory patterns, growth rates, and the overall health of billfish stocks round the world. For the latest updates about the tag and release competition, please visit billfish.org/news/. To learn more about how the tagging competition works, please visit billfish.org/competition/. 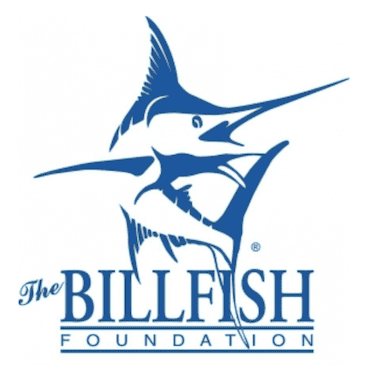 The Billfish Foundation is a not-for-profit 501(c)(3) organization. For more about TBF, please visit https://billfish.org. T-H Marine is celebrating its 44th Anniversary of business and has grown to be one of the largest manufacturers of boating and fishing accessories in the U.S. T-H Marine provides parts to virtually every boat manufacturer in the country and distributes them through virtually every major distributor and retailer of boating and fishing products. To learn more about T-H Marine, please visit thmarine.com/about-us. For additional information about T-H Marine, our work through our products and partnerships to advance conservation in fishing, or our involvement in The Billfish Foundation’s Tag and Release Program, please visit us at thmarine.com/conservation or use the contact information provided below.